A Little While Longer (Walk with Me Book 2) by Venessa Knizley is available in paperback and Kindle. The worst of the Plague has ended, but who among the living can claim to have escaped the effects of its devastation? Certainly not Lady Velena Abrose, who not only bears the scar of her mother’s death, but also lives with the uncertainty of her brother’s life. Having remained sheltered for the last three years, Velena now finds herself thrust into a harsh season of change as her self-seeking uncle arrives at the castle with news that his eldest son has died—and with him, her arranged marriage. Tristan wants to believe that the death of Velena’s betrothed means new-found freedom for their ever-deepening friendship, but in his heart, he knows differently. Plans are already being laid for Velena’s future, and chances are, they won’t include him. A little while longer, and their friendship may be lost. 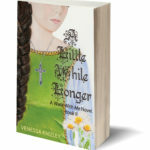 A Little While Longer is the second of four books to be released in this compelling new medieval series, Walk With Me. 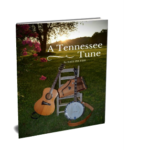 A Tennessee Tune by Kaye Peltier is available in full color paperback. A Tennessee Tune captures the essence of Tennessee through music, people, faith and artistic photography. Kaye Peltier uses her musical gifts to share a tune that is true to the heart of Tennessee. Local photographers visually capture Kaye’s tune to add another dimension to the heart and soul of Tennessee. You will be swept away with the beauty and sounds of A Tennessee Tune. 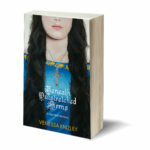 Beneath Outstretched Arms (Walk With Me Book 1) by Venessa Knizley is available in paperback and Kindle. The year is 1348—and the Black Plague has reached England. Forced to leave her betrothed behind, Lady Velena Ambrose arrives at her father’s countryside castle, grief stricken—and burdened with fears. She embraces her seclusion, but she is not to remain alone. Though suffering great loss, Esquire Tristan Challener arrives at the castle, able to find comfort in the Bible that a friar has secretly placed in his satchel. Velena desperately needs the book that Tristan keeps safely hidden in his room, but is it wise for her to find companionship with a man who is not her betrothed? Will darkness make its abode in her forever, or will she finally be set free to see that God is good, and that there is rest to be had, beneath His mighty outstretched arms? Beneath Outstretched Arms is the first of four books to be released in this compelling new medieval series, Walk With Me. Created For So Much More: Soaring With God by Deborah Gall is available in paperback and Kindle. If you want to unlock your amazing God-given destiny and future, get ready for a God-sized adventure. No matter your age, position, or location, God always has so much more for you—if you are willing to tune your ears toward Heaven. Rediscover your identity and crystalize your life’s purpose as you delve into Created for So Much More, a 12-part, practical resource, grounded in Scripture. You will soar with God as He empowers your vision and gives flight to your dreams. Let author Deborah Gall, with more than 30 years of business and ministry experience, be your veteran copilot. Deborah’s knowledge of Scripture, insightful guidance, and prophetic gifting has been used by God to affect change in the lives of hundreds of event attendees and personal coaching clients. Now the same life-changing teaching is at your fingertips. Embark on your God-designed expedition today! 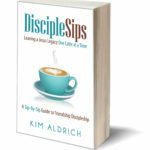 Even if you’ve followed Jesus for years, the word discipleship can sound a bit intimidating. But what if making disciples could be relational, renewing, and refreshing—and every bit as enjoyable as inviting a friend to coffee? Allow Jesus to disciple others through you! Making disciples relationally was how the early church “did life.” Yet somehow over the years, we’ve outsourced discipleship to a class we must attend or a set of rules we must follow—rather than a lifestyle we must embrace. Knowing Jesus and making Him known is what gives the Christian life its savory sweetness—and nothing else will satisfy that deep thirst in your heart for connection and significance. Learn from a seasoned coffee-date discipler to embrace the full-circle life you were MEANT to live. DIY Kitchen Chemistry: Simple Homemade Bath & Body Projects by Kayla Fioravanti is available in paperback and Kindle. DIY Kitchen Chemistry is filled with simple to follow do-it-yourself easy bath and body product recipes. Kayla answers every question that an potential kitchen chemist may have about the industry, ingredients and supplies. 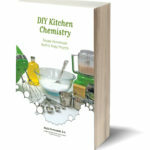 Let your inner Kitchen Chemist out with this easy to follow book written for the everyday reader. Experienced crafters will find helpful business and regulation information as well. Esthetician’s Choice All Natural Facial Soap by Diana Keefe is available in on Kindle. These recipes use easily found ingredients that are inexpensive and actually offer a better value than commercial soaps. These naturally prepared soaps are highly penetrative to the skin and have been expertly formulated to produce the final product. This book assumes that you already have cold-process soapmaking experience and the tools to complete the task. Free yourself from highly toxic and irritating ingredients and experience the pleasure of handcrafted facial soaps that will preserve and protect your skin. 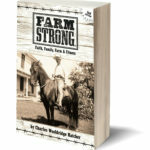 Farm Strong: Faith, Family, Farm and Fitness by Charles Wooldridge Hatcher is available in paperback and Kindle. Embrace Farm Strong, a Heartfelt, 400-Year Story of Family, Faith, and Legacy. Farm Strong depicts the poignant story of the Hatcher family, starting with their immigration to America in 1635 through their present-day life ambitiously running a regionally well-known dairy farm. This deeply personal narrative, told by Charles Wooldridge Hatcher, weaves faith, family, perseverance with a distinctly Southern flavor. Journey through more than four centuries of American Southern history as you enjoy a hefty dose of humor, milk, blood, sweat, and tears. History buffs, business book junkies, and other readers who enjoy a gripping story will embrace the Hatchers’ candid walk of faith through dirty hard work, service, ugly times in history, smart risks, innovation and family restoration. How to Make Melt & Pour Soap Base from Scratch by Kayla Fioravanti is available in Paperback and Kindle. How to Make Melt & Pour Soap Base from Scratch will teach you the long held secret recipes for the popular soap base often called “Melt & Pour Soap,” “Glycerin Soap,” and “M&P Soap.” It also reveals many unknown truths about this popular soap base including that it is not a natural soap. It is the first book published with recipes, methodology and tips on how to make Melt and Pour Soap from Scratch. 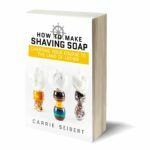 How to Make Shaving Soap: Charting Your Course to the Land of Lather by Carrie Seibert is available in Paperback. Welcome to the Land of Lather with professional soapmaker Carrie Seibert as your guide. Learn how to make artisan shaving soap from an industry insider. Carrie will take you on a journey through learning the basics, finding necessary tools, understanding the building blocks, equipping you to troubleshoot, resources and more. How to Make Shave Soap is filled with insight, personality, and empowering information. The market is wide open and growing in the men’s wet shaving category. Opportunities abound. With this book Carrie is opening the doors to the Soap Commander’s shop to show you how to learn this valuable skill. Soap Commander creates high-quality, handcrafted skincare products that utilize natural ingredients and captivate the senses. The mission of Soap Commander is to equip you to live life charged. In her book, How to Make Shave Soap, Carrie hands you the wheel to equip you to take charge of your business. Learn it, live it and pass it on. How to Self-Publish by Kayla Fioravanti is available in Paperback and Kindle. Puffy & Blue: The Chronicles of Nine Lives Together is Available in Paperback and Kindle. Fall in love with Puffy & Blue as they travel around the world together. Nine lives are never enough to spend with a four-legged best friend. 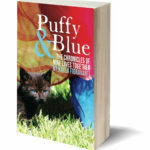 Puffy & Blue chronicles the uplifting true story of the deep friendship between a cat and her girl. Their inspiring companionship overcomes the upheaval of growing up in three countries. Their adventure brings laughter and tears mixed generously with hope and loyalty. Puffy & Blue is purr-fect for fans of Dewey: The Small Town Cat Who Touched the World, Homer’s Odyssey: A Fearless Feline Tale, and Marley & Me: Life and Love with the World’s Worst Dog. Experience this unforgettable journey spanning three continents and twenty-one years. Are you overwhelmed with social media and don’t know where to start? Or want to know how to improve your social media reach? Are you using the right social media for your target demographics? The eBook, Social Media: Platform Building Blocks for Both the Savvy & the Shy, is designed to help you overcome the obstacles of choosing the right social media platforms for your business. In this eBook you will learn everything from the basics to some handy tricks that will help power your brand. 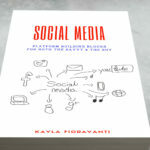 Kayla Fioravanti will walk you through the most important aspects of social media platforms, the audience demographics of each and so much more. Chapters include: All Roads Lead to Blogging ♥ The Basics of Facebook ♥ Twitter Fundamentals ♥ Guide to Google+ ♥ Picture Perfect on Pinterest & Instagram ♥ Link in with Other Experts ♥ Newsletters, Tumblr, StumbleUpon, Reddit, Disqus & Snapchat ♥ YouTube, Vimeo, Vine & Periscope. A list of resources and author hashtags will help make this book a must have resource for author-preneurs. This eBook designed to help you overcome the obstacles technology may be presenting for you as you work your way through the Self-Publishing process. 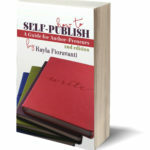 This book is supplemental to author Kayla Fioravanti’s book How to Self-Publish: A Guide for Author-preneurs. 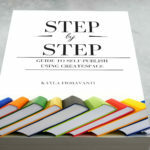 It does not repeat or replace the information provided in the book, it simply adds on a visual guide to improve your ability to navigate self-publishing using CreateSpace. The, Art, Science and Business of Aromatherapy is a complete guide to aromatherapy written by an industry insider, Kayla Fioravanti. It is packed with uncommon essential oil information that makes this book a must have for essential oil enthusiasts, candle makers, soap makers and cosmetic manufacturers of any level or experience. 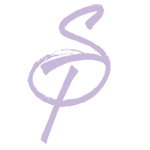 Inside, you will find something for everyone, whether you have just discovered aromatherapy or have been in the industry for years. Kayla discovered aromatherapy in 1998 and has been in the aromatherapy industry as an aromatherapist, supplier, educator, speaker, cosmetic formulator, student and author ever since. Kayla has been an outspoken advocate for small businesses, for the safe use of essential oils and for honest practices within the industry. The Art, Science and Business of Aromatherapy is a research driven—fluff-free—resource, vital to an aromatherapy education. This second edition bolsters the business of aromatherapy section, updates critical industry information, expands further into the modern history of aromatherapy, provides updated essential oil safety information, broadens the anatomy and physiology information and so much more. This book was written for anyone who needs to increase their knowledge of fine art, in depth chemistry and the business foundations of aromatherapy. Kayla loves to research complex problems, dissect the information to its smallest component and then write it to her readers in every day, understandable English. Her easy-peasy style makes learning fun. The Art & Science of Aromatherapy is your complete guide for personal aromatherapy written by in industry insider. 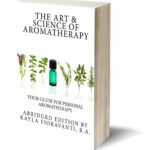 Kayla Fioravanti, a certified and registered aromatherapist with years of experience and study, takes you on an informational journey to discover and learn about common and uncommon essential oils alike, making this a must have book for all aromatherapy enthusiasts of any level of experience. 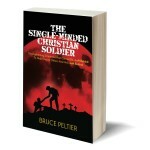 The Single-Minded Christian Soldier: Strengthening Strategies that Cannot Be Left Behind To Help Ensure Others Are Not Left Behind by Bruce Peltier is available in paperback and Kindle. Do you need help focusing and strengthening your Christian faith? Are you concerned about your family and friends being left behind? The Single-Minded Soldier will help Christians fortify their beliefs and act in courageous obedience to God’s plan described in the Bible. By applying more than 30 strengthening strategies, Christians will become more focused, equipped and committed to execute God’s mission of discipleship. The result of carrying out this mission with excellence will be individual transformation to Christ-like character and a stronger perception of those around you are what you say you are because of the peace, joy, discipline and focus exemplified in your life. Witnesses will be drawn to those attributes—and they could choose to enlist or be “saved”—and if they do, they will not be left behind. Not only is this book jam-packed with insights for effectively Christian living, but it is also a unique mix of wit, intellect, fact, fiction and sarcasm intermingled with spiritual topics. If you are passionate about others being saved, and you are open to learning with humor and your toes being stepped on a bit from a decorated military veteran, pastor and owner of two successful businesses—this book is for you. When I was Young I Flew the Sun Like a Kite is transparently written with heart, soul and passion, carrying the reader back to childhood’s innocence, then through the darkness of an off-course life, and finally steering all of us back onto a hope-filled path of love and forgiveness. Kayla Fioravanti is living proof that the mind of a scientist and the heart of a poet can mingle in one body. 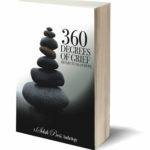 360 Degrees of Grief is a Selah Press Anthology filled with stories, poetry and songs. Sixty-four authors contributed transparent stories written with open hearts reflecting hope to the reader. These authors have lived through the complete spectrum of life—from ecstatic joy to the darkest grief—and share the lessons they learned along the journey. 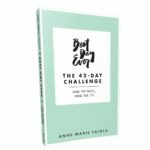 The 42-Day Best Day Ever Challenge: Change Your Habits, Change Your Life by Anne-Marie Faiola is available on Kindle. A Best Day Ever challenge is a 6 week time period to reset your body and reset your habits. It’s not a crazy low carb diet, it’s not a cleanse and it’s not something that means you can’t leave your house because you’re so stressed about food. It is eating real food, moving more and having fun with new friends doing it. I guarantee you that by the end, you’ll be sleeping better, and have a more stable mood each and every day. And, PS: yes, you will lose weight. Habakkuk’s Hope: Habakkuk’s Hope by Lona Renee Fraser is available in paperback. 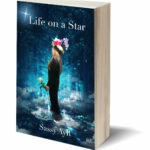 Life on a Star by SassyAnn AyR is available as a SCENTED paperback. Beauty holds its secrets, and so does Life on a Star. Take a glimpse into Sassy’s world, a journey though unparalleled landscapes and blissful fragrances. This book is one of a kind! Here’s what makes it so special, inside this book is an innovative beautiful full color scented page. The encapsulated oils on the scented page are released when the microcapsules containing the scent oils are broken by touch. 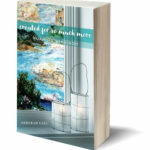 The scented page in this book allows you to smell the landscape of the story and the scent on that page has been created into a fine fragrance that you can wear everyday and is available for purchase on our website LifeonaStar.com. Soap Queen Business Handbook by Anne-Marie Faiola is available on Kindle. The Soap Queen Business Handbook is a compilation the business insights posted on the Soap Queen Blog. Because these insights were posted to the Soap Queen blog, they are perfect for anyone who has a soap business, but the advice is so universal it is truly helpful for any entrepreneur. Chapters include: Selling, Support Networks, Social Media 101, Treat your Body right, General Business Advice, Customer Service & Relationships, Productivity, and Goal Setting & Planning. 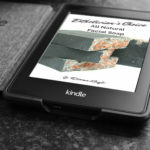 Soap Queen Cold Process Soap by Anne-Marie Faiola is available on Kindle. This Kindle book contains 22 of the best Cold Process Soap recipes from the Soap Queen Blog. These projects were posted from the beginning of the Soap Queen blog until 2011. A few of the projects included are the Pink Sea Salt recipe, Gardener’s Soap and Green Beer Soap projects. Soap Queen’s Cold Process Recipes from 2015 by Anne-Marie Faiola is available on Kindle. This Kindle book contains all of the Cold Process Soaps Recipes and Tutorials from the Soap Queen blog in 2015. Included in this Kindle version is the Back to Basic series, Sea Clay Swirl Cold Process Recipe, a Wedding Favor Tutorial, Natural Colorant Rainbow Recipe, Charcoal & Cedar Beer Soap Tutorial, Brine & Rose Clay (Soeseife Soap), Avocado & Spearmint Soap, Pantone Spin Swirl, Rainbow Heart Swirl, Lavender and Rose Pink Salt Bars, Galaxy Clyde Slide, Currant & Cranberry, Holiday Candy Rebatch Soap, Gold Mine, Spiced Copper and so much more. Soap Queen Lotions, Scrubs, Salts and More Projects by Anne-Marie Faiola is available on Kindle. 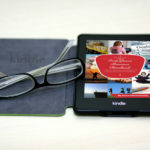 This Kindle contains 16 projects including innovative lotions, scrubs, salts and more tutorials featured on the Soap Queen Blog in 2011 and 2012 all in one convenient Kindle. Take a trip down memory lane with Anne-Marie as you travel back through this collection of the lotions, scrubs, salts and more projects from the Soap Queen Blog. Featuring fun and innovative projects like the Hidden Color Bath Bombs, Coffee Butter Foot Creme, Sore Muscle Blends for Athletes and many more. Now you don’t need to click back through endless posts to refer to these amazing projects, we’ve collected them for you here all in one place! Soap Queen Melt & Pour Soap: The Early Years by Anne-Marie Faiola is available on Kindle. Over 20 innovative Melt & Pour soapmaking projects that made the Soap Queen Blog as popular as it is today! Take a trip down memory lane with Anne-Marie as you travel back through this collection of the melt & pour soap projects from the early years of the Soap Queen Blog. Featuring fun and innovative projects like the Jelly Roll technique, embedded loops, Eco Chic or the realistic Clamshell tutorial. Soap Queen Melt & Pour Soap, contains Melt & Pour soap projects from the start of the Soap Queen Blog up until mid 2008. The Art of Schlepping: Proven strategies to get in, fit in, and sell your products at markets and fairs by Kismet Andrews and Lisa Thorstenson is available in paperback and Kindle. Farmers’ Markets • Holiday Craft Fairs • Bazaars • Street Fairs • Festivals What do these all have in common? They are all events where hundreds—if not thousands—of customers spend their money. They are looking for your brand of special sauce (that thing you sell). But not every vendor application is accepted. So how do you increase your odds of getting into those events? Through The Art of Schlepping, that’s how! This revolutionary book will arm you with simple strategies and provide you with the tools you need to be a profitable schlepper. The Art of Schlepping is the indispensable, innovative how-to guide for selling your special sauce at events. It doesn’t matter if you sell original works of art, jams and jellies, fishing flies, sterling silver jewelry, handmade soaps and lotions, leather purses from Peru, or pottery from Mexico. By the end of this book, you will feel confident and prepared with the information you need to make the best decisions for your brand. The Art of Schlepping is based on co-authors Kismet Andrews and Lisa Thorstenson’s twenty-five combined years of schlepping experience. This book was written for you, dear reader. It arms you with everything Kismet and Lisa wish they had known when they started schlepping. This is a field guide for getting your special sauce in front of eager buyers over the span of a few short hours. 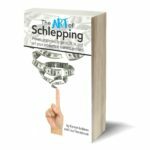 The Art of Schlepping is written for anyone with a burning desire to sell their special sauce at events, craft fairs, and markets, and it teaches the schlepper how to make money while forging meaningful connections. This book also contains pearls of wisdom for the experienced schlepper who’s looking to step up their game. 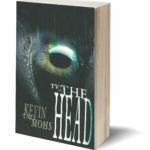 TV in the Head by Kevin Mohs is available as a paperback and Kindle. In the near future Personal Entertainment Devices (PEDs) are surgically implanted in infants soon after birth, creating a society consumed by the programs and messages being sent directly into their minds by the Personal Vision Corporation. On a hot summer’s night, an addict known as a PEDhead is murdered while breaking into the home of one of the corporation’s executives. Vision Enforcement Agent Marshal McClure is assigned to investigate the death and soon finds himself caught in the midst of a dangerous plot that threatens to take down the very institution that he’s sworn to protect.